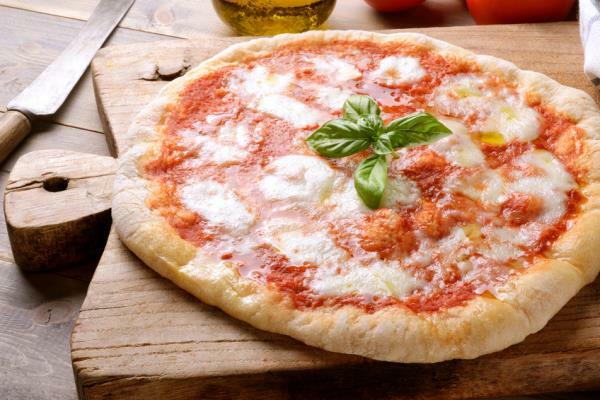 AMALFI COAST - Italian Days - Food Tours In Bologna, Venice, Florence, etc. 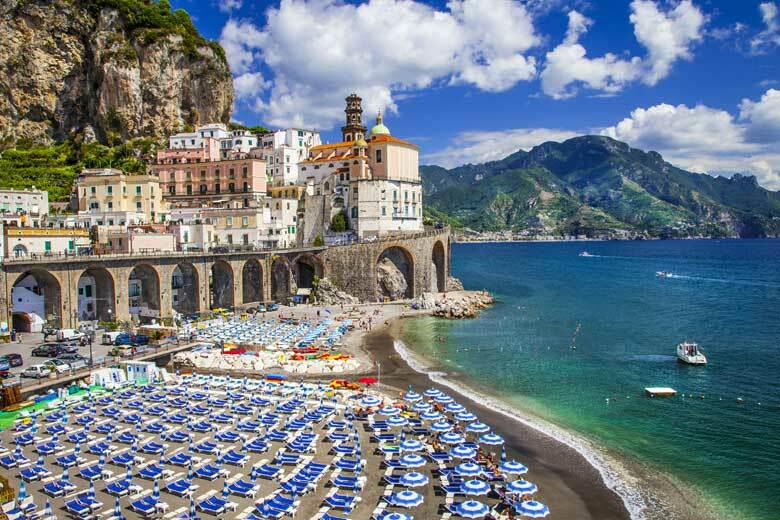 The Amalfi Coast (Italian: Costiera Amalfitana) is a stretch of coastline on the southern coast of the Salerno Gulf in the Province of Salerno in Southern Italy. 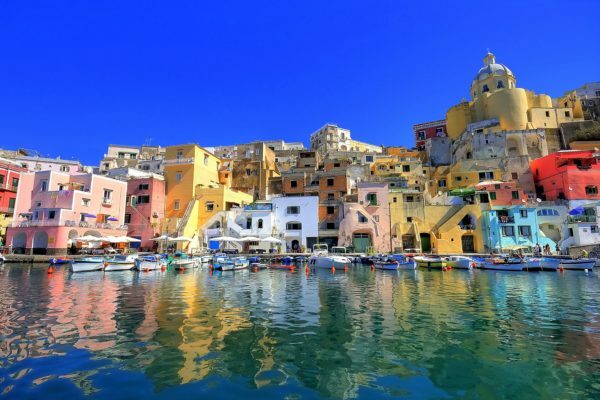 The Amalfi Coast is a popular tourist destination for the region and Italy as a whole, attracting thousands of tourists annually. 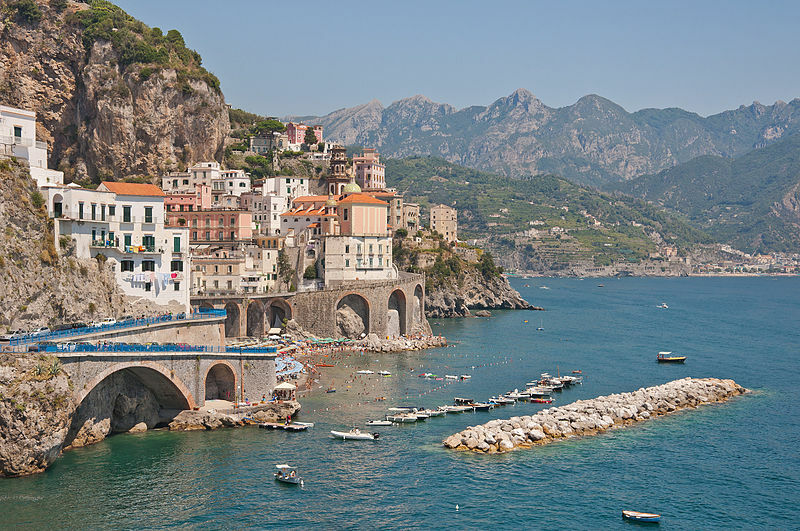 In 1997, the Amalfi Coast was listed as a UNESCO World Heritage Site as a cultural landscape. The rulers of Amalfi are the central figures in Webster’s Jacobean tragedy Duchess of Malfi. 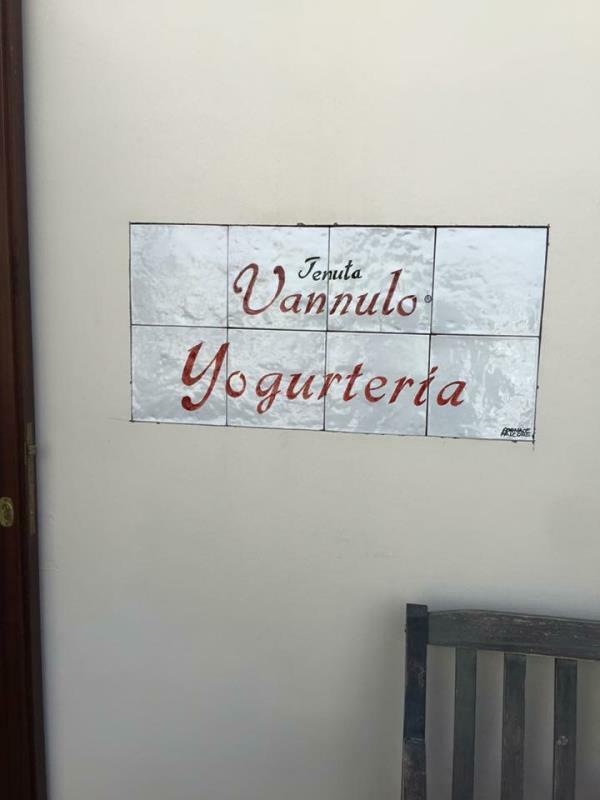 In the last episode of the popular TV series Entourage, Ari Gold (Jeremy Piven) and Mrs. Gold (Perrey Reeves) are seen relaxing at the Amalfi Coast when Ari receives a phone call to become the chairman of Time Warner. The Amalfi Coast is a popular destination among tourists. It was featured in Positano, a short story written by American author John Steinbeck in 1953. 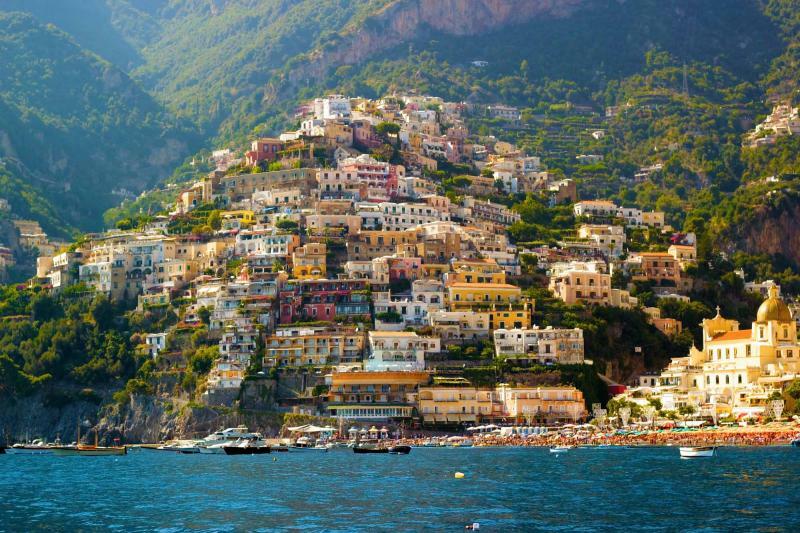 It was also the setting in “Finding Positano, A Love Story” written by author William James in 2010. 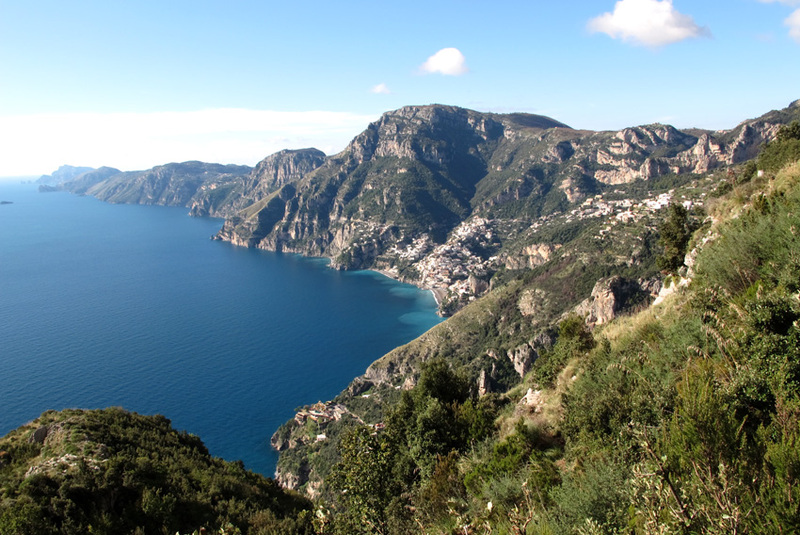 The Amalfi Coast also serves as a setting for fictional tracks in the Forza Motorsport 3, Forza Motorsport 4 and Gran Turismo 4. 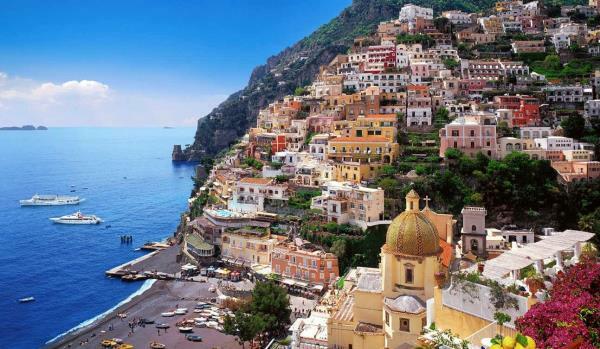 The city of Positano featured prominently in scenes of the film Under the Tuscan Sun. It is also referenced in the Beyoncé song “Upgrade U” featuring Jay-Z. The Coast is also mentioned several times in “The Coast of Amalfi”, a song by Steve Harley, appearing on his 2005 album The Quality of Mercy. In the spy comedy Knight and Day, Tom Cruise’s character speaks of living on the Amalfi coast with nothing but a backpack and a motorcycle. It is also referenced in the Drake song “Killer” featuring Nipsey Hu$$le. In season 5 of the popular TV show Psych, the Amalfi coast is the proposed vacation spot for Juliet O’Hara and love interest Declan Rand. Audrey Hepburn stars in a Galaxy chocolate commercial set on the Amalfi coast. Caught in traffic, she accepts an offer to ride in a male interest’s car and switches transport. She is last seen riding up the coast. Federico Fellini filmed some scenes of his movie Roma on the Amalfi Coast, and included shots of author Gore Vidal, who lived there at the time.